While pre­serving his power-polit­ics prerog­at­ives, Alex­an­der Lukashen­ka, the pres­id­ent of Belarus since 1994, has steered a for­eign policy course inten­ded to main­tain the country’s nation­al autonomy des­pite its eco­nom­ic depend­ency on Moscow and made it pos­sible for the nearly ten mil­lion-strong pop­u­la­tion to secure a live­li­hood through inde­pend­ent eco­nom­ic activ­ity in Belarus and abroad. Due to its dwind­ling eco­nom­ic options, the Belarus­i­an state is no longer in a pos­i­tion to ful­fil its aim of guar­an­tee­ing the stand­ard of liv­ing of its cit­izens (hous­ing, edu­ca­tion, health­care, pen­sion scheme) on the basis of a state-con­trolled eco­nomy. 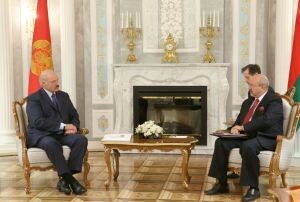 Approx­im­ately one mil­lion Belarus­i­ans work in Rus­sia, and anoth­er mil­lion work in oth­er coun­tries. 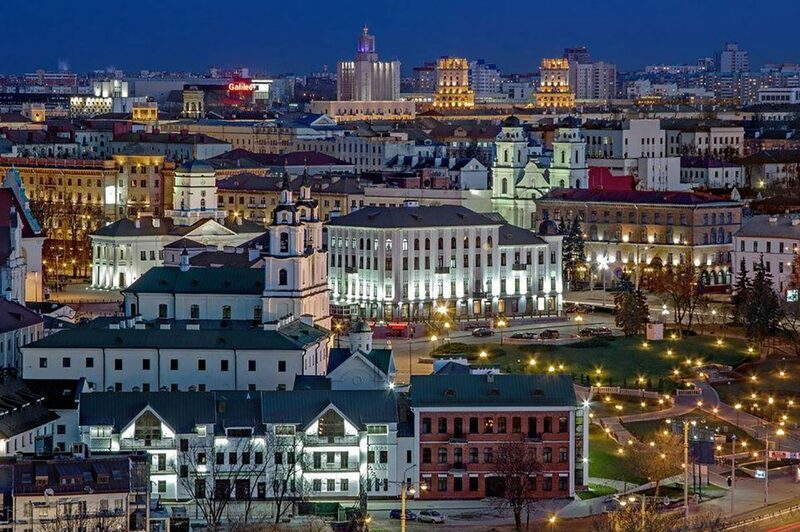 After suf­fer­ing enorm­ous destruc­tion and heavy losses in human lives dur­ing World War II, Belarus was rebuilt, with great effort. Immig­ra­tion from oth­er parts of the Soviet Uni­on was sup­por­ted. In addi­tion to dir­ect­or­ates of the armed forces, Belarus became the home primar­ily of indus­tries asso­ci­ated with mod­ern mil­it­ary equip­ment and machine con­struc­tion (con­struc­tion machines, tract­ors, busses) as well as numer­ous insti­tu­tions of high­er edu­ca­tion, includ­ing many spe­cial­ising in tech­nic­al fields. In the 1970s, Riga, Tbil­isi and Minsk were con­sidered priv­ileged cit­ies of the Soviet Empire, along­side Moscow and Len­in­grad. In the late 1980s how­ever, the coun­try revealed that it also had an inde­pend­ent, Belarus­i­an inde­pend­ence move­ment – one hark­ing back to the nation­al inde­pend­ence move­ment after the end of World War I – in the form of the “Renais­sance” move­ment under the archae­olo­gist Zian­on Pazniak, which had over a mil­lion fol­low­ers in the Gorbachev years (1985–1990) and later developed into the Belarus­i­an Nation­al Front, or BNF. The 25th of March, 2018, was a spe­cial date in this respect, mark­ing as it did the 100th anniversary of the birth after the end of World War I of the Belarus­i­an People’s Repub­lic (BNR) and thus of an inde­pend­ent Belarus­i­an state, albeit one that exis­ted for less than a year. Nor­mally, the 25th of March is a day on which the Belarus­i­an oppos­i­tion, which sees Belarus as deeply rooted in European his­tory, and the Lukashen­ka regime, which sees vic­tory in the Great Pat­ri­ot­ic War and the Soviet peri­od as the source of the country’s his­tor­ic­al legit­im­acy, stand in grim oppos­i­tion. In 2018, how­ever, the com­mem­or­a­tion was sanc­tioned by the state, and was even per­mit­ted to include a con­cert in the park next to the Minsk[AB1] opera house. More than 18,000 people atten­ded the event, at which one could wave the white-red-white flag, insignia of the demo­crat­ic oppos­i­tion, with impun­ity. In con­junc­tion with the anniversary, tut​.by, the inde­pend­ent online news portal, pub­lished a series of art­icles in Rus­si­an about the BPR, describ­ing, for instance, its polit­ic­al lead­er­ship, its bor­ders and the ori­gins of the flag and coat of arms. Although the organ­isers and some par­ti­cipants at a nearby, non-author­ized par­al­lel event were arres­ted and tem­por­ar­ily detained, the atmo­sphere at the main demon­stra­tion on the 25th of March was relaxed and har­mo­ni­ous to a degree not seen since before Lukashen­ka first took power. Thus, in 2018 an occa­sion usu­ally asso­ci­ated with pub­lic protest and con­front­a­tion become a cel­eb­ra­tion. Even the state tele­vi­sion chan­nels refrained from dis­par­aging cov­er­age. This event is exem­plary of the fact that Belarus­i­ans’ view of their nation­al his­tory is extend­ing bey­ond the state’s roots in the Great Pat­ri­ot­ic War – to include the country’s polit­ic­al, cul­tur­al and social ties with Lithuania and Poland, which were severed and aban­doned in favour of incor­por­a­tion into tsar­ist Rus­sia in con­nec­tion with the Third Par­ti­tion of Poland in 1795. The nar­rat­ive of Belarus­i­an his­tory is chan­ging – but this remains irrel­ev­ant for the ossi­fied polit­ic­al cul­ture of the coun­try under Lukashen­ka. As a side note, it is worth men­tion­ing the sharp cri­ti­cism in Rus­si­an social net­works about the absence of meas­ures to dis­cour­age a demon­stra­tion com­mem­or­at­ing a Belarus­i­an state that was inde­pend­ent of Rus­sia. The Rus­si­an and Ukrain­i­an media took the can­cel­la­tion of a planned trip to Gomel in late July as an occa­sion to spec­u­late about the pos­sib­il­ity that Lukashen­ka had an incur­able dis­ease. Although Lukashen­ka him­self refuted the rumours just a few days later, they were enough to launch a broad­er dis­cus­sion about the polit­ic­al future of the coun­try. “Is Belarus ready for life after Lukashen­ka,” was the title of one debate on Radio Liberty. Mul­tiple voices poin­ted out the acute and per­sist­ent threat inher­ent in hav­ing a polit­ic­al sys­tem that is tailored to an extreme degree to a single lead­er, has been infilt­rated by numer­ous Rus­si­an agents and whose polit­ic­al elite is char­ac­ter­ised by an extremely weak sense of nation­al iden­tity. There are, in fact, more than a few people in Belarus who advoc­ate a return to Rus­si­an rule. Putin has many sup­port­ers in the coun­try – par­tic­u­larly as the stand­ard of liv­ing is rising faster in Rus­sia than it is in Belarus. Lukashen­ka ordered a fairly major gov­ern­ment reshuffle in mid-August, which involved the dis­missal of the prime min­is­ter and four oth­er min­is­ters for fail­ing to carry out their duties effi­ciently and allegedly fail­ing to carry out the instruc­tions of the Pres­id­ent. Syar­hey Rumas, then the head of the Devel­op­ment Bank of the Repub­lic of Belarus, was named prime min­ster. Gov­ern­ment reshuffles occur every four years or so in Belarus. Among oth­er things, they serve to strengthen the president’s pos­i­tion in the eyes of the pub­lic, emphas­iz­ing his abil­ity to take strong action. Rumas, the new prime min­is­ter, has a repu­ta­tion as an effect­ive man­ager. But though his appoint­ment may mean that we can expect great­er effi­ciency in the Government’s activ­it­ies, it is unlikely to bring more pro­found polit­ic­al or social reform. Rumas is seen as an eco­nom­ics expert and advoc­ate of mod­er­ate eco­nom­ic lib­er­al­isa­tion. In the private sec­tor there are hopes that he will bring about improve­ments in the policy frame­work for private sec­tor activ­ity. Rumas faces the chal­lenge of stim­u­lat­ing eco­nom­ic growth in Belarus des­pite the tense rela­tions with Rus­sia. First and fore­most, the immin­ent over­haul of the tax sys­tem in the Russia’s oil sec­tor, which will res­ult in sig­ni­fic­ant increases in the price Belarus pays for Rus­si­an oil, is a likely source of head­aches in the months to come. In this con­text it should also be noted that Lukashen­ka also dis­missed Uladz­i­mir Siemashka, the per­son respons­ible for nego­ti­at­ing with Rus­sia in the energy field for the pre­vi­ous 15 years, in the gov­ern­ment reshuffle. This danger is now embod­ied in the form of recently appoin­ted Rus­si­an ambas­sad­or to Belarus: Mikhail Babich, a former KGB officer who has pre­vi­ously served as Moscow’s rep­res­ent­at­ive in Chechnya and in the south­ern Volga region. 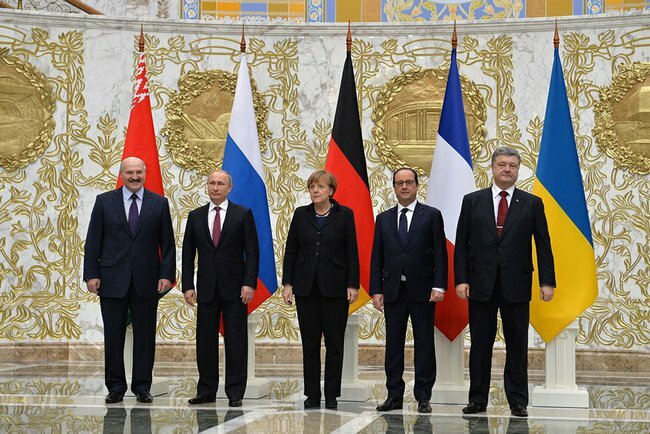 Putin ori­gin­ally wanted to send him as ambas­sad­or to Kiev, but Ukraine rejec­ted the appoint­ment. In an appear­ance on Belarus­i­an tele­vi­sion in late Octo­ber, Babich explained that Rus­sia would view any attack on Belarus as an attack on its own coun­try. This has to be under­stood in a broad­er con­text, one that includes the dis­cus­sion about estab­lish­ing a NATO mis­sile defence base in Poland. One pos­sible inter­pret­a­tion of this assur­ance is that Rus­sia is going to insist on open­ing a mil­it­ary base in Belarus, a Rus­si­an desire that Lukashen­ko has been res­ist­ing for years. It appears likely that the Krem­lin will tie the pro­vi­sion of addi­tion­al eco­nom­ic assist­ance to the demand for a mil­it­ary base in Belarus. There is also spec­u­la­tion that Rus­si­an intends to use such a base as the start­ing point for the forced incor­por­a­tion of Belarus into the Rus­si­an Fed­er­a­tion. Oppos­i­tion politi­cian Mikalai Statkevich believes the pre­par­a­tions for an oper­a­tion of this kind have already entered their final phase: in a late-Septem­ber post on his Face­book page he wrote that it would only be a mat­ter of months before Belarus was annexed by Rus­sia. In domest­ic policy terms, the tense situ­ation between Rus­sia and the West means that the effi­ciency of the police state has lost none of its import­ance for the regime: 18 journ­al­ists, for the most part from the pres­ti­gi­ous news portal tut​.by, were arres­ted and tem­por­ar­ily detained in early August. The edit­or­i­al offices of tut​.by were searched, as were the per­son­al flats of some journ­al­ists. The stated reas­on for these repress­ive actions against the inde­pend­ent press was that the journ­al­ists had hacked the web­site of Belta, the state news agency, and used inform­a­tion obtained there without pay­ing Belta a usage fee. The accus­a­tion seems absurd, since very few inde­pend­ent journ­al­ists, let alone tut​.by report­ers, use Belta as a source of news. With 89 mil­lion vis­it­ors to its inter­net site per month, tut​.by is the most widely read online medi­um in Belarus where­as only 4.6 mil­lion read­ers vis­it the Belta inter­net site each month. The increase in offi­cial con­tacts with the European Uni­on and with indi­vidu­al EU mem­ber states in 2018 reflects the country’s interests but can­not be taken as an indic­a­tion of a sub­stan­tial West-ward ori­ent­a­tion. Accord­ingly, no con­crete pro­gress in Belarus–EU rela­tions in 2018 can be repor­ted. The EU-Belarus coordin­a­tion group, estab­lished in 2016, met for its bian­nu­al ses­sions in 2018, but without any tan­gible res­ults. Belarus­i­an par­lia­ment­ari­ans con­tin­ued to be barred from tak­ing part in the Euron­est Par­lia­ment­ary Assembly, a for­um with del­eg­a­tions from the European Par­lia­ment of the par­lia­ments of coun­tries par­ti­cip­at­ing in the EU’s East­ern Part­ner­ship ini­ti­at­ive. Giv­en that the sanc­tions laid by the European insti­tu­tions and the USA after Lukashenka’s coup d’état in Novem­ber of 1996 are still in place, includ­ing the sus­pen­sion of the pro­cess for rat­i­fic­a­tion of the Part­ner­ship and Cooper­a­tion Agree­ment between the European Uni­on and Belarus, the poten­tial for the devel­op­ment of eco­nom­ic rela­tions con­tin­ues to be lim­ited. No less sig­ni­fic­ant in this respect is the neg­at­ive atti­tude towards for­eign busi­ness invest­ment in Belarus­i­an eco­nom­ic policy, which emphas­ises state plan­ning and con­trol. The con­di­tions for such invest­ment cre­ated by the gov­ern­ment are not attract­ive. With regard to the talks on the pos­sib­il­ity of a visa-free regime for Belarus­i­an nation­als for the Schen­gen Area or at least a reduc­tion of visa fees, the EU has been accused of pla­cing high­er hurdles in the path of Belarus than it did in the case of Rus­sia, Azerbaijan or Armenia. The explan­a­tion offered by the head of the EU’s del­eg­a­tion to Minsk, that times had changed, is not par­tic­u­larly per­suas­ive. In con­nec­tion with this, Yury Zis­s­er, founder and own­er of tut​.by, said that had the EU genu­inely wanted to see a demo­crat­ic Belarus, in prac­tice rather in speeches or on paper, Belarus­i­ans would long since have been enjoy­ing visa-free travel to Europe. In con­trast to European Uni­on policies, Belarus now per­mits vis­it­ors from all European and sev­er­al oth­er coun­tries to travel to the coun­try for 21 days without requir­ing a visa as long as they enter the coun­try via the inter­na­tion­al air­port in Minsk. The first react­or at the nuc­le­ar power plant built in Ostro­vets in cooper­a­tion with Rus­sia is sched­uled to come online in 2019, with the second react­or to fol­low in 2020. Togeth­er, the two react­ors will have a gen­er­at­ing capa­city of 2400 MW. The loans for build­ing these nuc­le­ar react­ors, which will cost about 11 bil­lion US dol­lars, are provided by Rus­sia and/​or the Euras­i­an Eco­nom­ic Uni­on. In light of the 1986 Chernobyl dis­aster, there are con­cerns among the pop­u­la­tion about the pos­sib­il­ity of a nuc­le­ar acci­dent. The power plant will have a great impact on the country’s eco­nomy, and the country’s fin­an­cial depend­ency on Rus­sia will take on a new dimen­sion as a res­ult. The sig­ni­fic­ance of nat­ur­al gas in the energy sup­ply and for the country’s eco­nomy is decreas­ing. Wheth­er elec­tri­city from the nuc­le­ar react­ors can be offered under more attract­ive terms depends on price trends in the oil and nat­ur­al gas sec­tor as well as on how much fin­an­cing the react­or will cost. It remains unclear wheth­er Belarus can suc­ceed at becom­ing an elec­tri­city export­ing coun­try. Belarus is not cur­rently part of the Energy Com­munity, the inter­na­tion­al organ­isa­tion set up by the EU and a num­ber of oth­er coun­tries to estab­lish a com­mon energy mar­ket. After some years of pre­par­a­tion, a memori­al com­plex entitled “Path of the Dead” (Doroga smerti) was cere­mo­ni­ously opened in the forest of Blagov­shch­ina in Trostin­ets – a region near Minsk – on 29 June 2018, with the Belarus­i­an, Ger­man and Aus­tri­an pres­id­ents in attend­ance. The memori­al com­plex is ded­ic­ated to the Jews from Ger­many and Aus­tria murdered in the forest as well as to Soviet cit­izens murdered in the area. A trav­el­ling Ger­man-Rus­si­an exhib­i­tion “Ver­nich­tung­sort Malyj Trostinez“ (Maly Tros­ten­ets Exterm­in­a­tion Camp) has been shown. Sev­er­al events focus­sing on reapprais­ing and reflect­ing on the past and pro­mot­ing future-ori­ented under­stand­ing between the pop­u­la­tions of Ger­many and Belarus take place with­in the frame­work of the Geschicht­swerkstatt (“his­tory work­shop”), which formed in Minsk sev­er­al years ago. The impress­ive archi­tec­ture of present-day Minsk, the Belarus­i­an cap­it­al, now stands in dia­met­ric oppos­i­tion to the eco­nom­ic and intel­lec­tu­al stag­na­tion char­ac­ter­ising the country’s polit­ic­al sys­tem. Suc­cess­fully host­ing inter­na­tion­al cham­pi­on­ships or the annu­al ses­sion of the OSCE Par­lia­ment­ary Assembly can do noth­ing to alter this. Such events are just events, with no pro­found or long-term impacts. Observ­ers can­not help but notice that Belarus has ossi­fied in late-Soviet state­hood, and there is an inten­tion to per­petu­ate this con­di­tion bey­ond the peri­od of the cur­rent pres­id­ent by secur­ing his son’s suc­ces­sion to the pres­id­ency. Mean­while, there is inde­pend­ent life in soci­ety, which is tol­er­ated as long as it remains below the level of polit­ic­al activ­ity, and here there is a poten­tial for per­form­ance and action devel­op­ing that may one day open a path­way to power. Lift­ing visa restric­tions: The EU should show the people of Belarus that they are wel­come in Europe by exped­it­ing the intro­duc­tion of visa-free travel and, in this way, act­ively con­trib­ute to a fur­ther open­ing of Belarus­i­an soci­ety. The intro­duc­tion of visa-free travel regimes for Ukrain­i­ans, Geor­gi­ans, and Mol­dovans in recent years has res­ul­ted in a sus­tained increase in respect for the EU in those coun­tries. SME pro­mo­tion: The gov­ern­ment pro­gramme to pro­mote the SME sec­tor in Belarus announced by the Belarus­i­an Gov­ern­ment in August of 2018 should com­prise spe­cif­ic steps and dead­lines for imple­ment­a­tion, with the lat­ter reflect­ing insights from West­ern exper­i­ences with SME pro­mo­tion. A stronger SME sec­tor would res­ult in great­er capa­city for innov­a­tion in the Belarus­i­an eco­nomy and reduce depend­ency on Rus­sia or China. Sup­port­ing crit­ic­al voices: Organ­isa­tions and indi­vidu­als inde­pend­ent or crit­ic­al of the regime con­tin­ue to come under pres­sure and face dif­fi­culty gain­ing a hear­ing in soci­ety in Belarus. They are still depend­ent on sup­port from the West. As they also con­sti­tute social cap­it­al that will be import­ant for the post-author­it­ari­an peri­od in Belarus, the EU should con­tin­ue to offer pro­grammes that sup­port crit­ic­al journ­al­ists, act­iv­ists, mem­bers of the oppos­i­tion, ana­lysts, research­ers, NGO rep­res­ent­at­ives and cre­at­ive artists. Aware­ness of the threat to Belarus­i­an inde­pend­ence: The Rus­si­an Federation’s destruct­ive and aggress­ive policies in East­ern Europe are gen­er­at­ing increas­ing fears about a danger to Belarus’ inde­pend­ence, for instance, should the coun­try decide to intensi­fy its rela­tions with the EU. European decision-makers should be aware not only of this acute and per­sist­ing threat but also of the value and the sig­ni­fic­ance that Belarus­i­an inde­pend­ence has for Europe, and they should express this pub­licly. Non­ethe­less, the aim of strength­en­ing the rela­tion­ship should con­tin­ue to be pur­sued as long as doing so strengthens demo­cracy and human rights in Belarus and expands the scope to devel­op poten­tial freely in soci­ety.